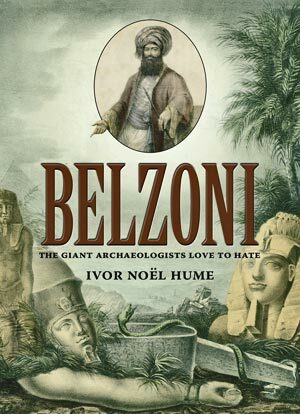 Giovanni Batista Belzoni was a towering figure at the beginning of archaeology in Egypt, not for his recognized talents but for his 6’6” height. Nearly 200 years later he is still despised by archaeologists who see him as a looter and vandal. That he recovered some of the British Museum’s largest and heaviest Egyptian treasures and successfully shipped them down the Nile using only papyrus ropes and a few poles, has largely been ignored. Instead, his sponsor in Egypt, Consul Henry Salt, took most of the credit until he, too, was vilified by his scholarly peers. Born in Padua in 1778 and trained in Rome as a hydraulic engineer, in 1803 Belzoni arrived in England with skills nobody needed. He therefore earned a living as a circus giant and strong man, playing in theaters and fairgrounds to uneducated and sometimes derisive crowds. 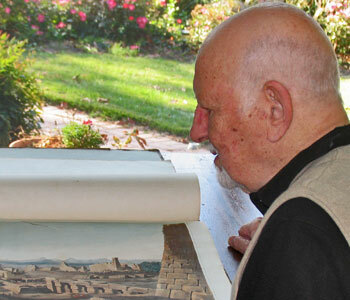 The story of Belzoni’s ten years in Britain was a profitable embarrassment. Though somewhat embellished by Charles Dickens, it was through the novelist’s eyes that we meet Sarah Barre who had become Belzoni’s wife soon after his arrival in London. She has been said to have been a fairground balancing act, a rope dancer, but later with Belzoni in Egypt she showed herself to be both an artist and a writer. Indeed, the farce and drama of Belzoni’s short life became the tragedy of Sarah’s prolonged widowhood. In this book, therefore, Sarah’s loyalty to her not always considerate husband, coupled with her prolonged efforts to keep his fading memory alive, becomes an integral part of the story.